The village of Nether Broughton is approximately 6 miles north-west of Melton Mowbray. Around 40 Quakers met on Sundays in 1669 in the house of miller John Wilford, ‘their teachers not knowne sometimes silent’. There were 23 dissenters noted in 1676. Samuel Greene, a Presbyterian minister, was preaching at meetings here in 1705, with at which 100 ‘hearers’ attended, there number including seven men who qualified for the vote, which in this rural area would require them to own freehold property worth 40s. p.a. By 1706, there were said to be ‘About a dozen dissenters, Quakers, Anabaptists, presbyterians, & 2 Meeting houses’. 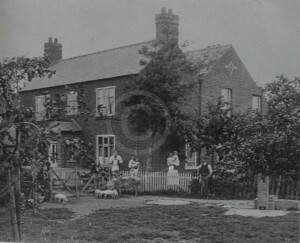 Three years later, there was a monthly meeting of Presbyterians and Independents attended by 20 people from the village, ‘in which Mr Matthews, or Mr Green teach’, a Baptist meeting held in the village once every two or three weeks, attended by five Baptists from the village, at which ‘William Johnson, the master of the house, teaches’ and 5 resident Quakers, but no Quaker meeting held in the village. The first Methodist meetings were said to have been held from the 1770s at a farm which became known as Chapel Farm. Although no return to the meeting house census of 1829 survives from Nether Broughton, the congregation presumably continued to meet. A small chapel was built on adjacent land in c.1832, but was soon outgrown, and replaced by a larger Wesleyan chapel in 1839, said to have cost £170 to build. This building was repaired in 1875, at the cost of £65. 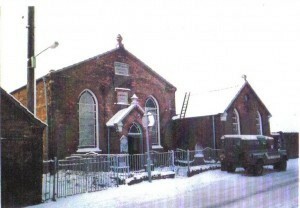 There were 73 people at the morning service on 30 March 1851, and 133 attended in the evening. 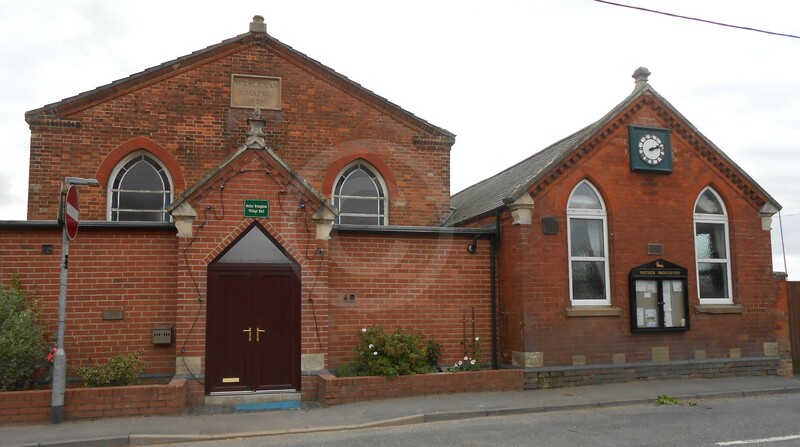 The building was renovated in 1889, and the ‘Memorial Schoolroom’ to the right was added, in memory of local Methodist and missionary James W Edlin, who had died in India. In 2016 both the chapel and the adjoining Sunday School (to the right) had become a village hall.